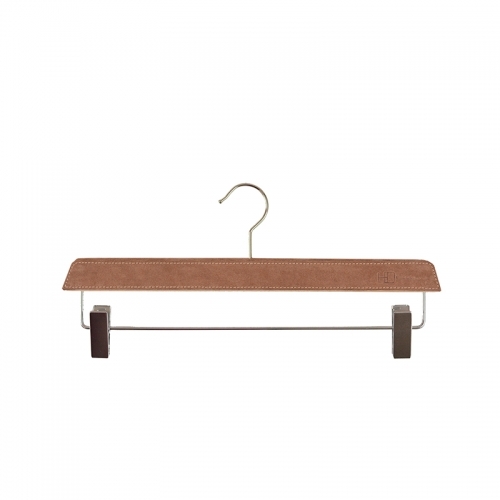 Sol & Luna once again highlights the Art of Leather in its collection HO By Sol & Luna, and in particular thanks to its wide range of leather and suede hangers, turning Sol&luna in a reference brand in the design and manufacture of luxury products related to the order at home . 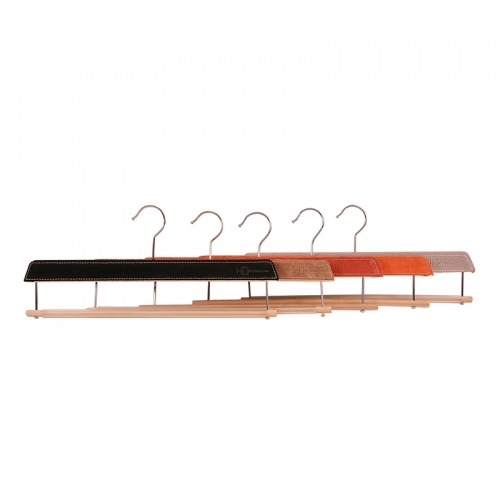 We have converted a functional product into something very special, showing our commitment that order is decorate! 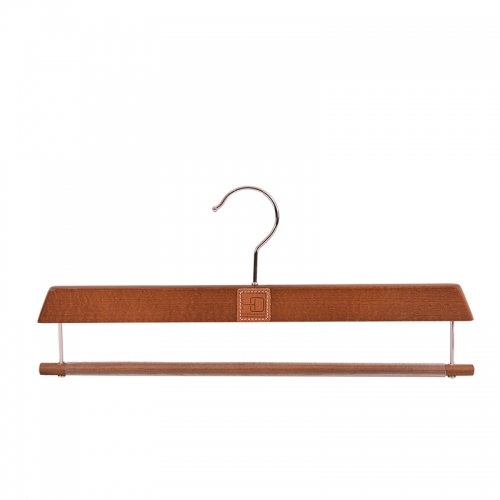 We select the leather piece by piece, cutting and sewing by hand each of the hangers, bringing back the values ​​of traditional, quality Spanish leather crafts. 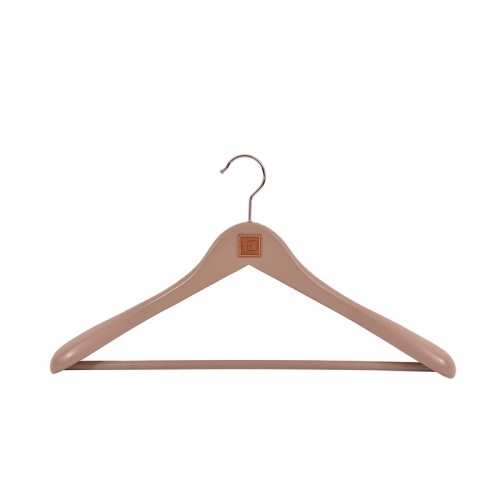 To each garment its correct hanger. 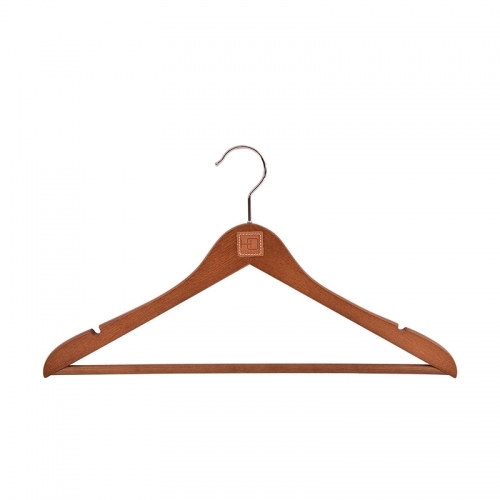 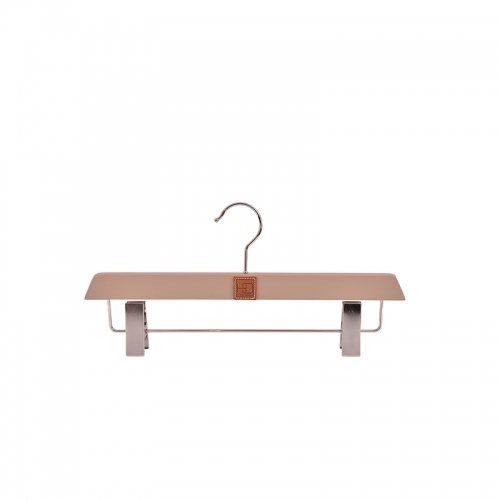 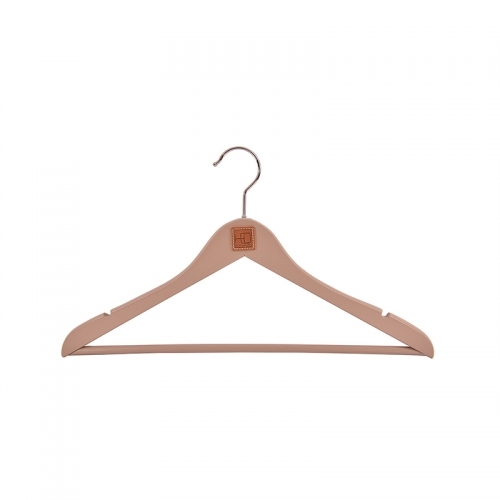 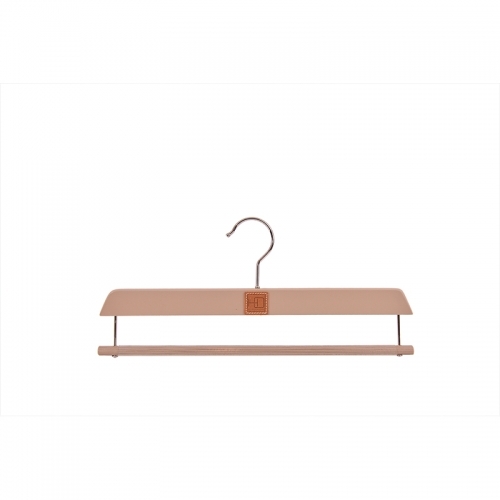 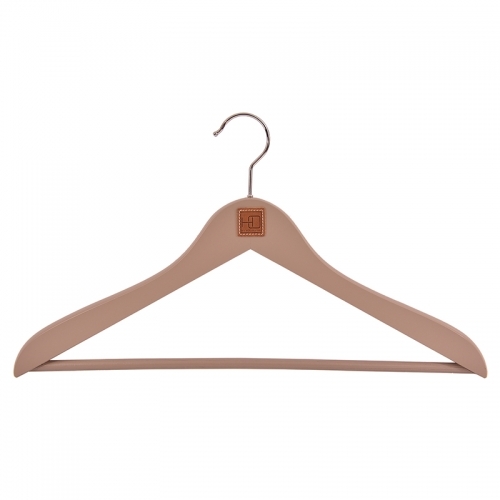 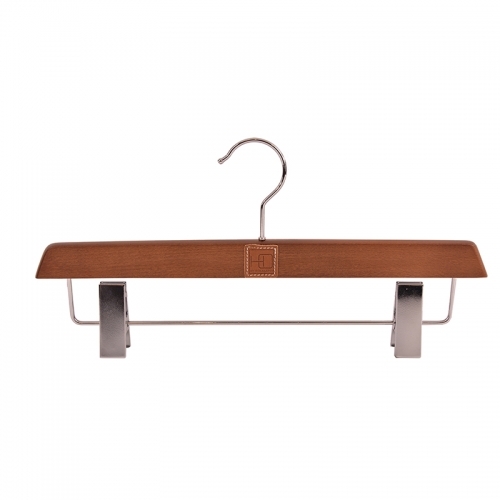 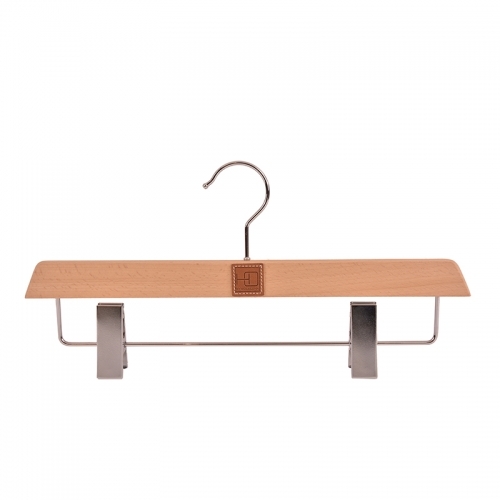 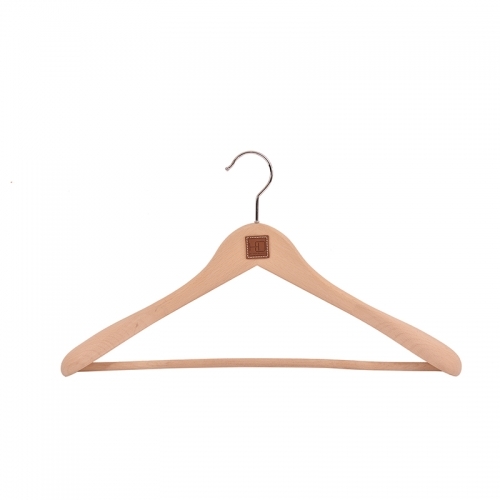 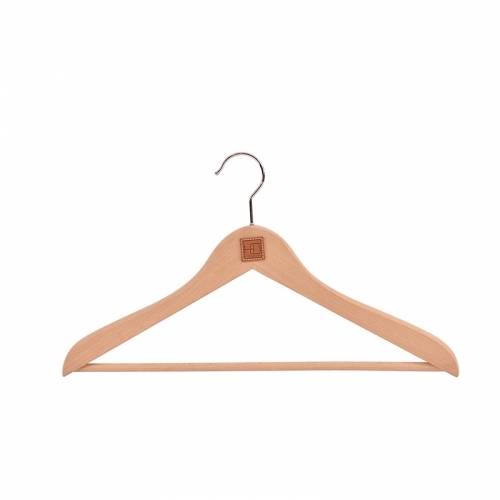 We have 3 models of leather or suede hangers for the perfect placement of each garment inside the wardrobe and walking closet; leather and suede hangers for jackets / shirts, pants or skirts. 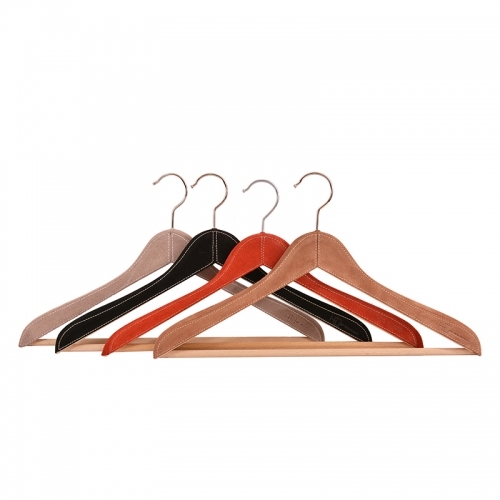 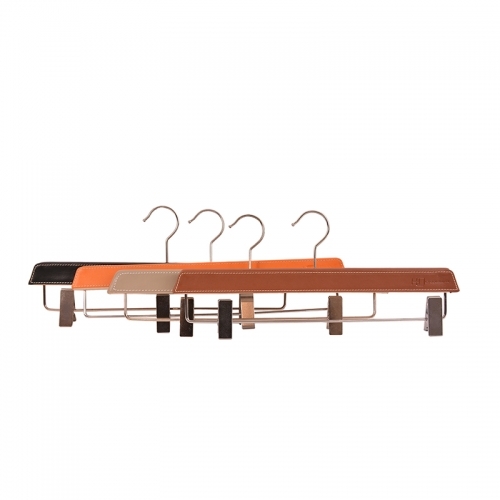 Each of the 3 models of hangers are available in five different colors of leather or suede: black, brown, taupe, orange or red. 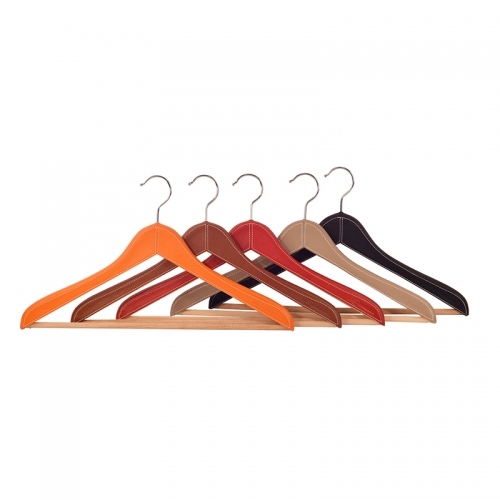 All of them with straight stitching, perfectly aligned in ivory color. 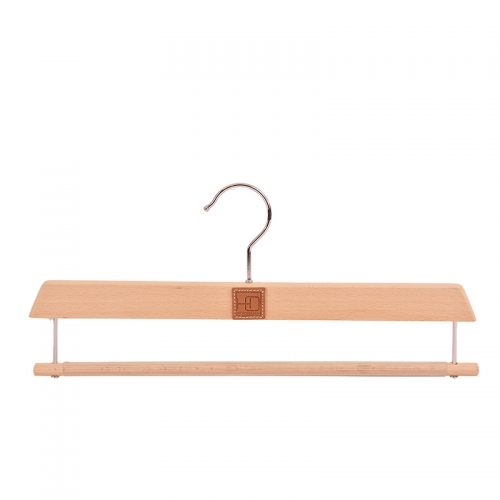 Once we place each model in the correct place, the leather or suede hangers encourage us to have everything perfectly hung and in perfect order, feeling that everything looks clean and tidy as if it was brand new. 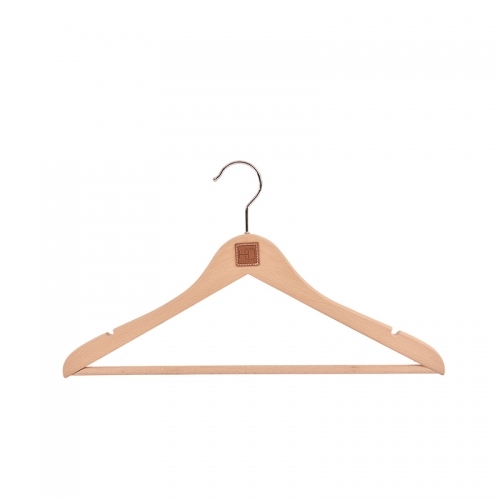 When we decorate our clients’ wardrobes and walking closets, we often reach around 200 units hangers. From this quantity we can customize the leather or suede hangers with the initials or name of our customers. 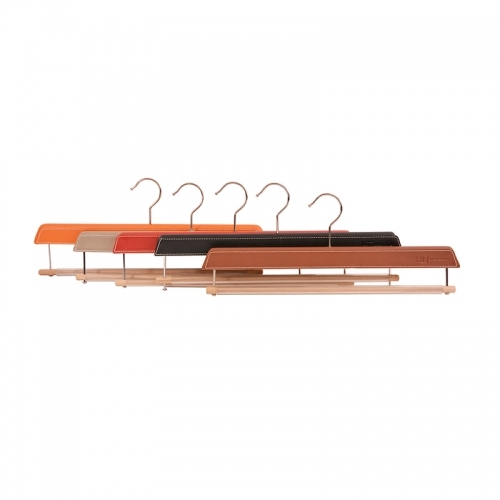 This is how HO By Sol & Luna turns order into a luxury!